>> See Simple Marketing Solutions For Getting Found Online? Be Intensely Focused! I first met Ann in 2012 when she graciously volunteered her company website for review during one of my Surfaces presentations. She returned in 2015 and shared many great examples and anecdotes about her website and blogging experience with the audience. In this interview, Ann shares those highlights and more with you. Notice how she has explored and experimented with different online tools to determine what works to get her business found online. 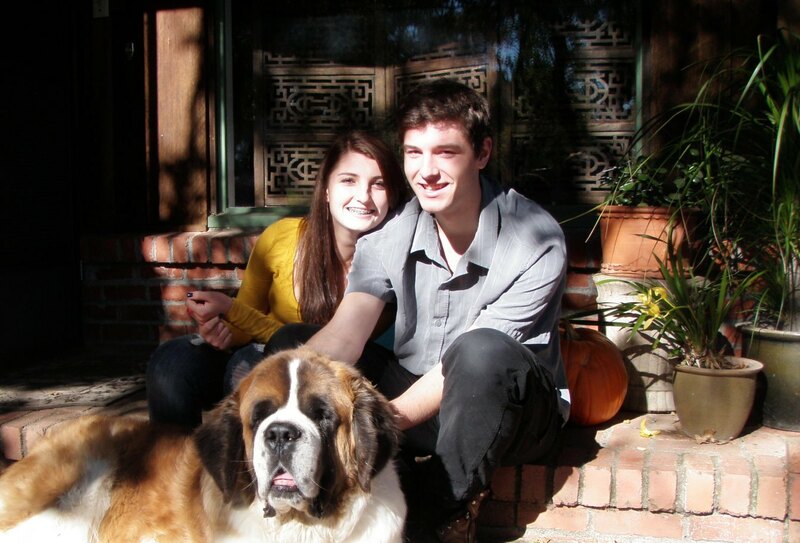 Meet Ann Zollinger, Owner North Coast Packaged Homes, Inc.
CB: Ann, tell me about yourself and your background. AZ: My BA was in graphic design and I worked for a magazine, PR firm and for the Director’s Guild and Writer’s Guide doing graphics until I went back to school and got my Master’s Degree in Architecture. 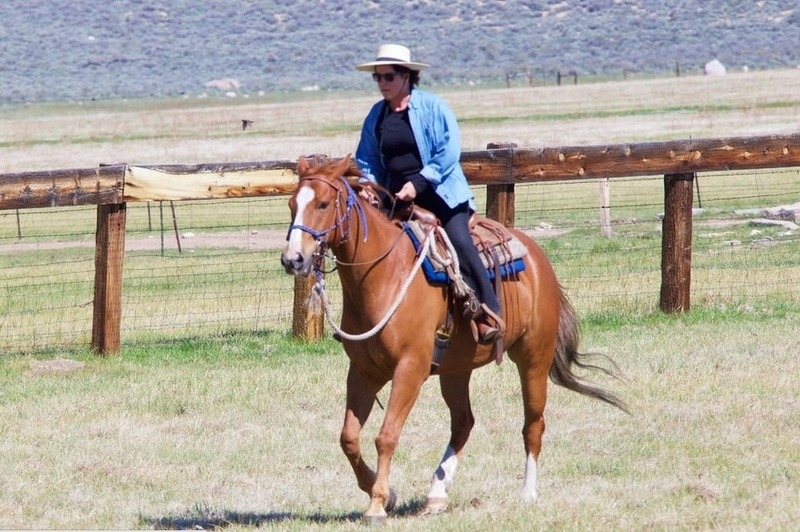 I have been a licensed architect for 35 years and on the side I developed a luxury equestrian vacation business called Dream Horse Vacations. 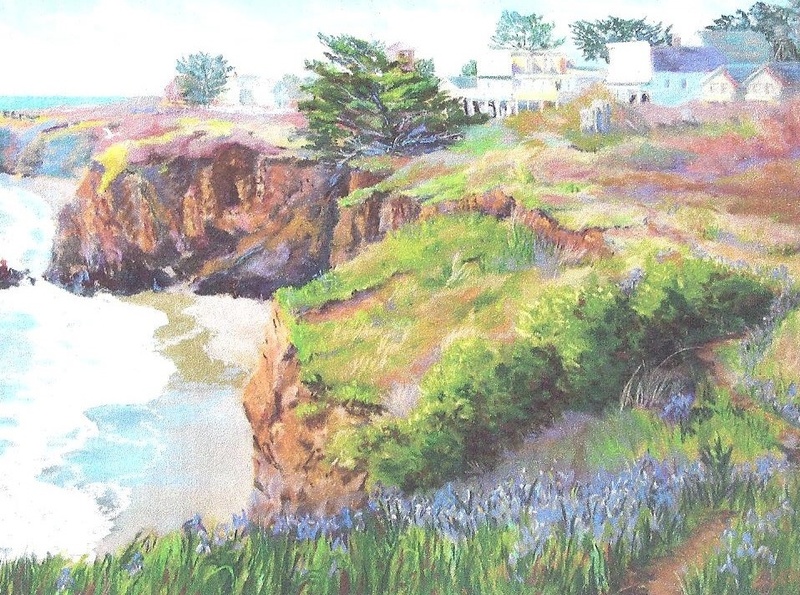 I currently live and work in Mendocino, California with a view of the ocean from every window. 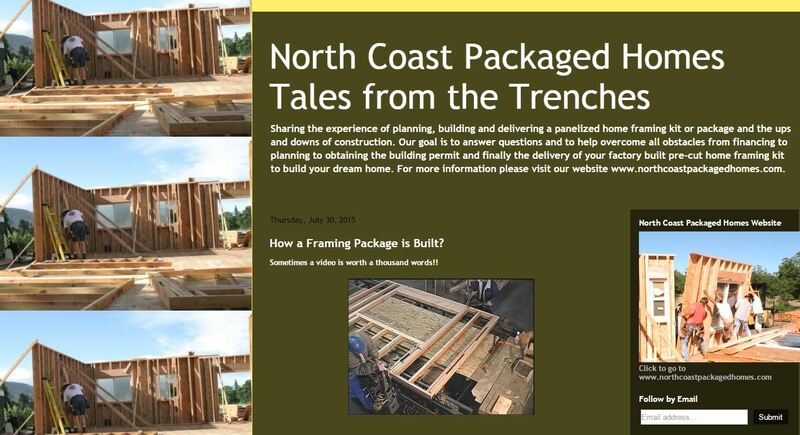 CB: What is North Coast Packaged Homes and how did you get started there? 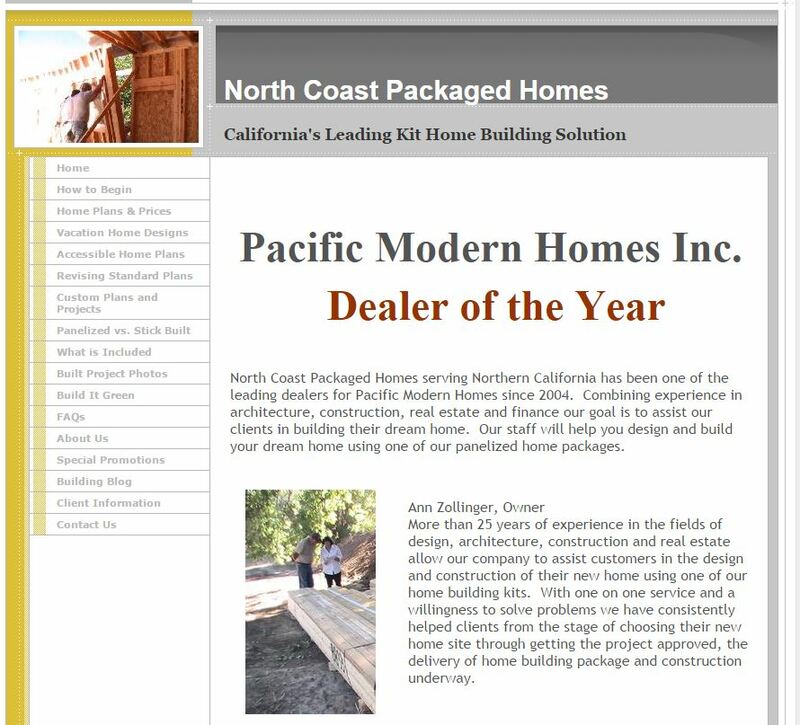 AZ: North Coast Packaged Homes is a company that I have owned for ten years and I am a service representative for Pacific Modern Homes Inc. which builds framing packages for custom homes. I assist clients with the design of their homes, getting their building permits and then assist with the delivery of the framing package. CB: What is your role? AZ: Architect, Customer Service, Accountant, Sales, Marketing, Chief Cook and Bottle Washer, etc. CB: What are the biggest changes you’ve noticed since you got started in the business? AZ: When I began with PMHI we had two sources of new clients. One was the Yellow Pages in local phone books and the other the local color real estate magazines. (Neither of which I currently do.) In other words all print ads. Slowly over the years my marketing has completely evolved to being Internet based. 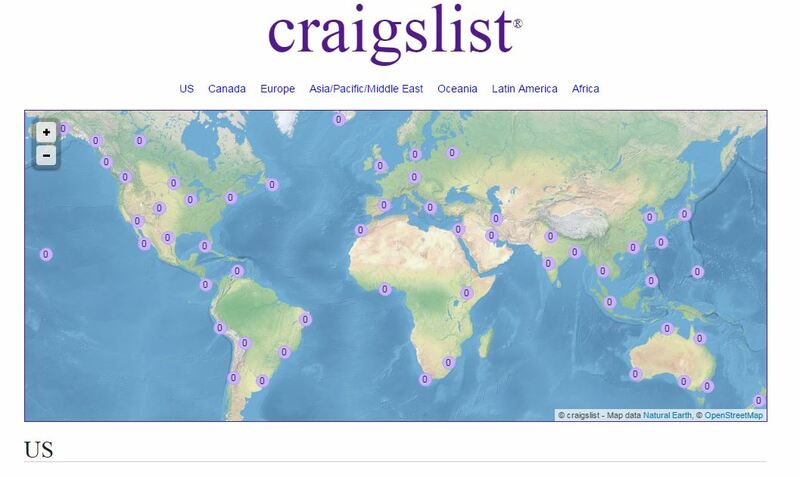 During the height of the recession in mid-2010 I discovered Craigslist ads and as they have changed their requirements I adapted and still post on CL every morning which takes less than ten minutes as I have a system. Then with Ken Rader, Sr. VP, Pacific Modern Homes, we tried other Internet venues such as Trulia (bombed as we could not place listings solely with bare land) and Facebook which also was too general to really generate new clients. (And although I have a Linkedin profile this does not generate business and I do not use Twitter as that isn't relevant to clients). In March of 2013 I began running Google Adwords and other than the seasonal slump shortly before the holidays my analytics were quite consistent until this last year when again there was a clear jump which is I believe a change in the economy as I made no major marketing changes. I began my blog - Tales from the Trenches - in February 2012 after your first seminar. Although I do get a few new clients from it, I find it more of a business asset than a direct new lead marketing tool. CB: How do you use your website, blog and social networks for your business? Website – I came to the conclusion about two years ago that my website is my receptionist. At that time I carefully looked at the home page considering that she was female and her basic function was to introduce new clients who came to the site via an ad to both my company - as a service oriented company - and to the product. Currently my website is viewed for about 9 - 12 hours a day by qualified (meaning California) viewers. The Website is the most effective vehicle for getting clients to contact me. Blog – The main source of traffic is from my website to the blog – and the most visited posts are the ones that address specific building issues such as building on a sloped site. So once again, I consider my blog like my website as an extension of my staff but rather than fill the role of receptionist it speaks more with my own voice and assists in answering questions. Facebook – I still post once a month or so on the North Coast Packaged Homes Facebook page but many of my “followers” will never be clients as they are not located in California. **Monthly Newsletter – other than my website this is the singularly most important marketing that I have been doing. For a very small time investment I stay in touch with all of my clients and I try to keep this personal enough that it continues to build the relationship. Houzz – I spent a lot of time on this after this year’s trip to Vegas developing a Houzz profile for North Coast Packaged Homes but I think it really is more for people remodeling. Only a few new hits and no clients. CB: What tools do you use to manage what you do online? AZ: Google Analytics. I check every day and have a report for just California and I look at cities. Frequently I will see someone has been on the site for a long time and then they will contact me. CB: What did you implement after my Surfaces session in 2012 and what were the results? AZ: It was January 2012 and the session began with my website being one of the examples. The major changes that I made after the session were to refine my website and start the blog. CB: What did you implement after this year’s session? Any results? Although I did review my website again carefully and made more changes (which resulted in a lower bounce rate and higher number of people contacting me), I believe that your presentation this year had a larger impact on what happens after I am in direct contact with the client. I have implemented and spent a lot of time developing documents to put my customer service at a whole new level so the last comment was most relevant. And due to another session, I stopped working with about 10% of my leads whom I then identified as bottom feeders. CB: What are your biggest challenges and opportunities (in addition to finding more free time)? AZ: The biggest challenge is handling the volume of new clients that my marketing is generating. 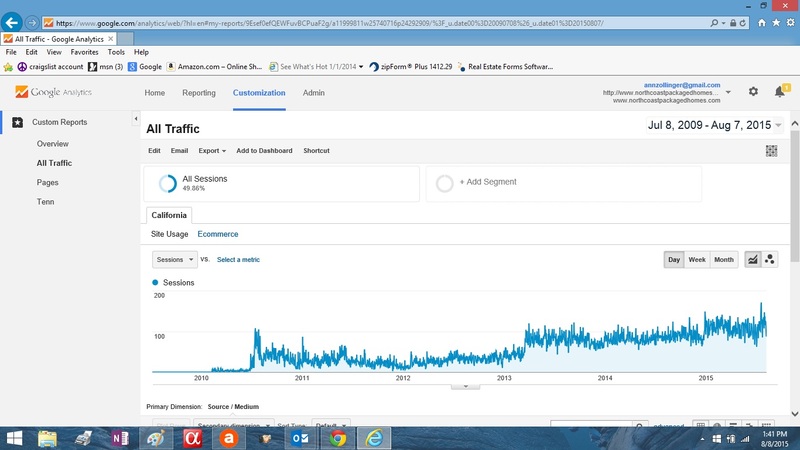 Although I am constantly tweaking my marketing and trying new ideas while sticking with what is still working (Craigslist and regular newsletters) statistically, starting Adwords more than doubled both the number of visitors to my website and also the number of new clients I added to my website. Then this year, as of the end of July the number of California visitors to my website and the number of new clients almost equals the totals for 2013! As I have not figured out how, with all of the automation that computers and the Internet currently allow, to clone myself into another person – I am developing new ways to deliver the quality of service to my clients in a more efficient way. One example is that I have developed approximately 20 documents that address specific questions/problems that are frequently asked. 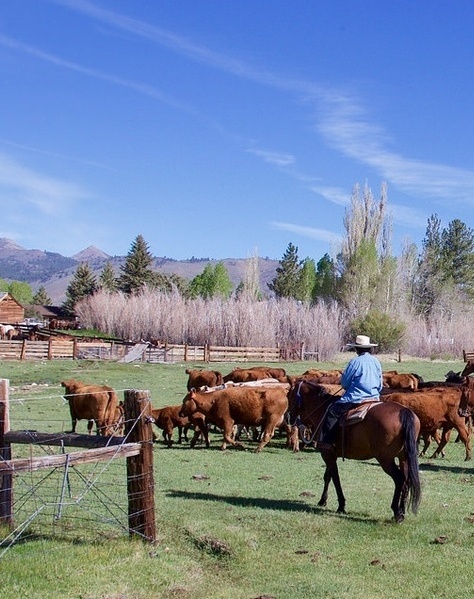 Travel a lot for business (all over California & Vegas) and pleasure (Seattle, Tahoe – skiing and boarding, New Mexico – family, New Hampshire – fun) and that is this year. CB: What advice do you have for businesses getting started with an online presence? Having a website that is alive and an extension of you as it is the first introduction to you, your product, your reputation and integrity. CB: Ann, thank you for sharing your online successes and lessons learned! What's your reaction to what Ann has experienced and learned? What successes and surprises have you come across as you've explored how to get your business found online? >> See 7 Steps To Get Found Online: It Matters As Never Before!